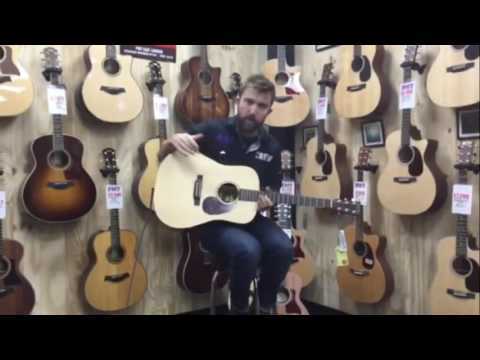 Martin have packed decades of guitar craftsmanship, experience and heritage into the DX1RAE - all at a price point that won't break the..
Martin have packed decades of guitar craftsmanship, experience and heritage into the DX1RAE - all at a price point that won't break the bank. 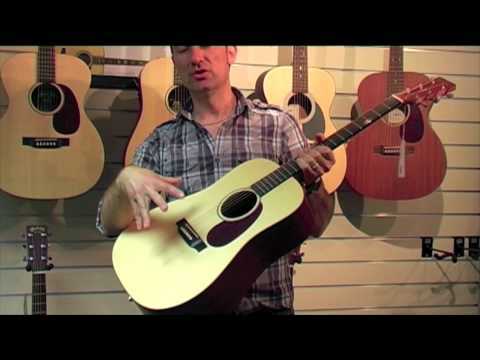 Full-bodied Dreadnought tone with solid Sitka Spruce top at a bargain price! If there is one acoustic guitar brand that has defined the iconic Dreadnought body shape - it's a Martin. The DX1AE continues the tradition with a rich, loud acoustic voice that goes hand-in-hand with singer-songwriters. A solid Sitka Spruce top offers bags of projection and volume with the trademark sustain that you'll only find with a Martin dreadnought. In a sleek contrast, you'll find an Indian Rosewood-patterned HPL finish on the back and sides. This beautiful finish gives the DX1AE a distinctive look, keeping the guitar lightweight enough for everyday use or touring. The woods and materials used on the Martin DX1RAE are sourced using their Sustainable Wood Certified scheme, ensuring no long-term negative effects to the environment for future generations. Additional appointments include an inlaid Boltaron rosette, Stratabond neck and Morado fingerboard that round of an elegant and sophisticated design. Find out more or give it a try at your local PMT Store near you! Alternatively, order yours Online or In-store today and make use of our fantastic Store Pick Up or Home Delivery services!